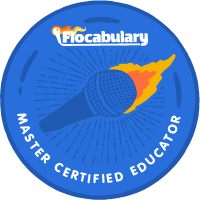 Every year, I take a look at my classroom curriculum and see what I can add to it the following school year to help prepare my second graders for life in third grade. I am a big believer that the academic jump from second to third is one of the most challenging transitions in school. 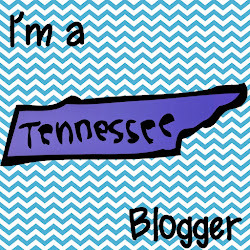 In TN, Science and Social Students are not tested skills for second grade, but we do have standards that we need to cover. 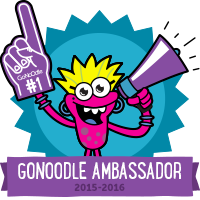 I really wanted to amp up these two content areas this year, but I was unsure of exactly how to do it. I finally decided that the only way that I was going to be able to make it work was by combining my Reading and Social Studies/Science into one block. We are switching between S and SS in biweekly rotations. 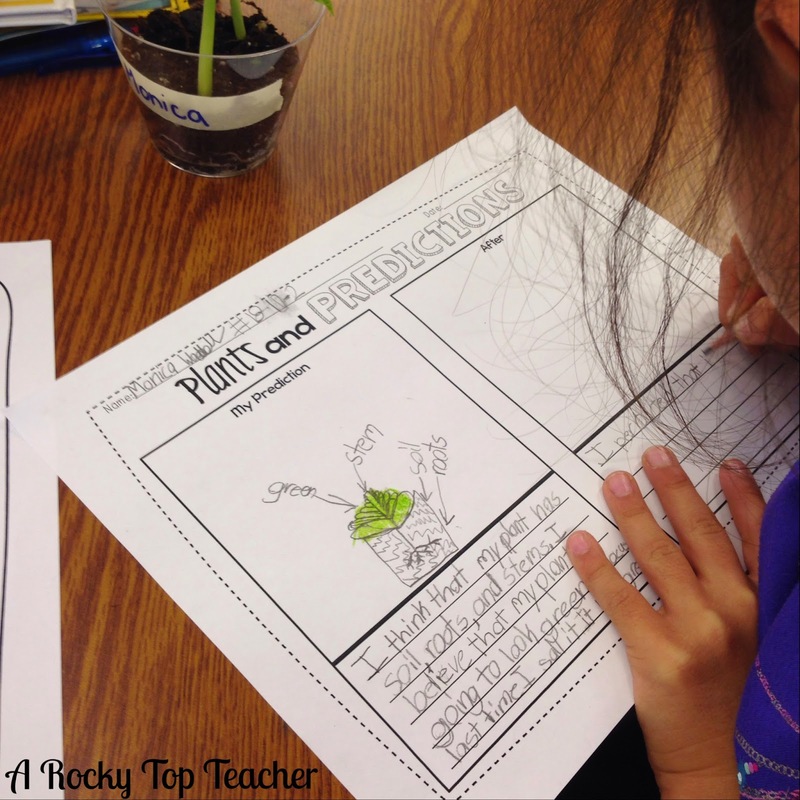 Our first unit was all about Life Science-living vs. nonliving, plant and animal needs, parts of a plant, and plant life cycles. My students LOVE Science(which is sadly not my favorite subject), but I have really enjoyed teaching it over the last two weeks because of how engaged and enthusiastic the students have been. 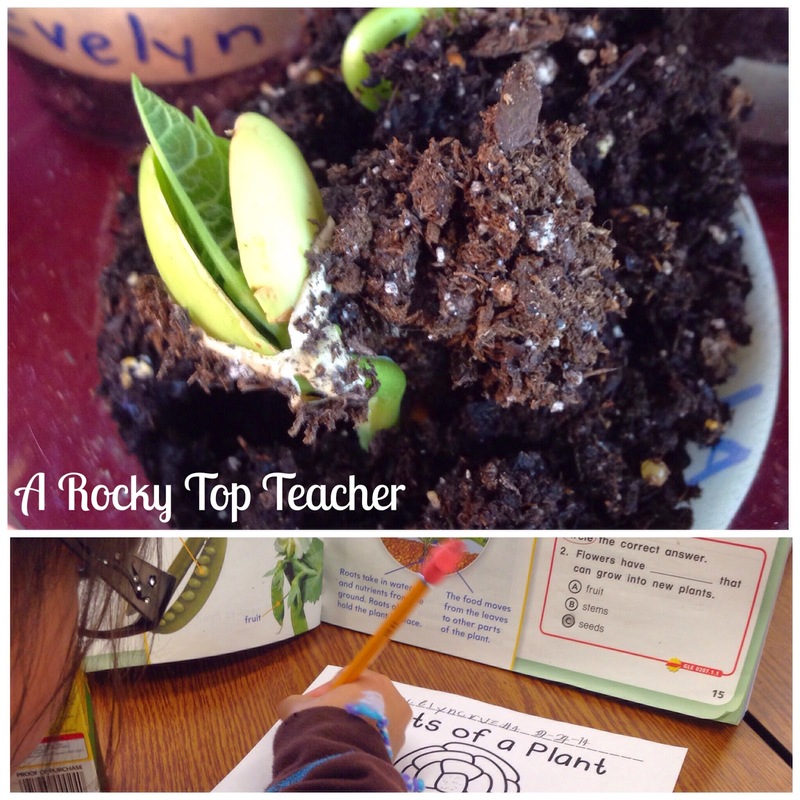 There is just something magical about watching students dig into dirt, observe roots with a magnifying glass, and scream when they see a new sprout in their lima bean cup. It's adorable and so inspiring! They also know that if they make a prediction then they have to to back it up with evidence. 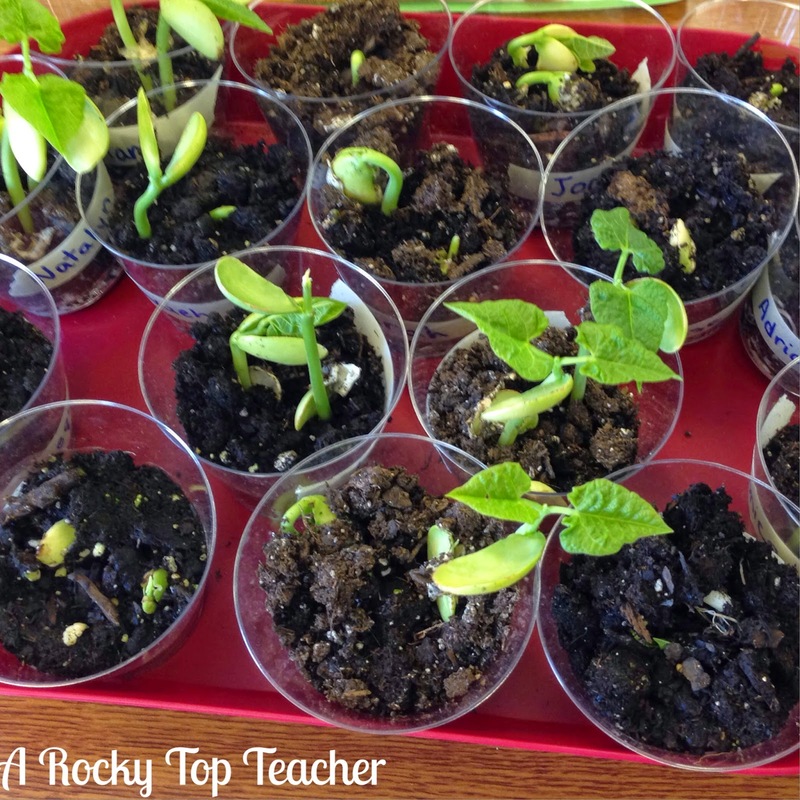 The students planted their lima bean seeds last Friday. They got to look at the progress of the plants on Monday, and then we put the plants on our back porch, out of view, for a few days. 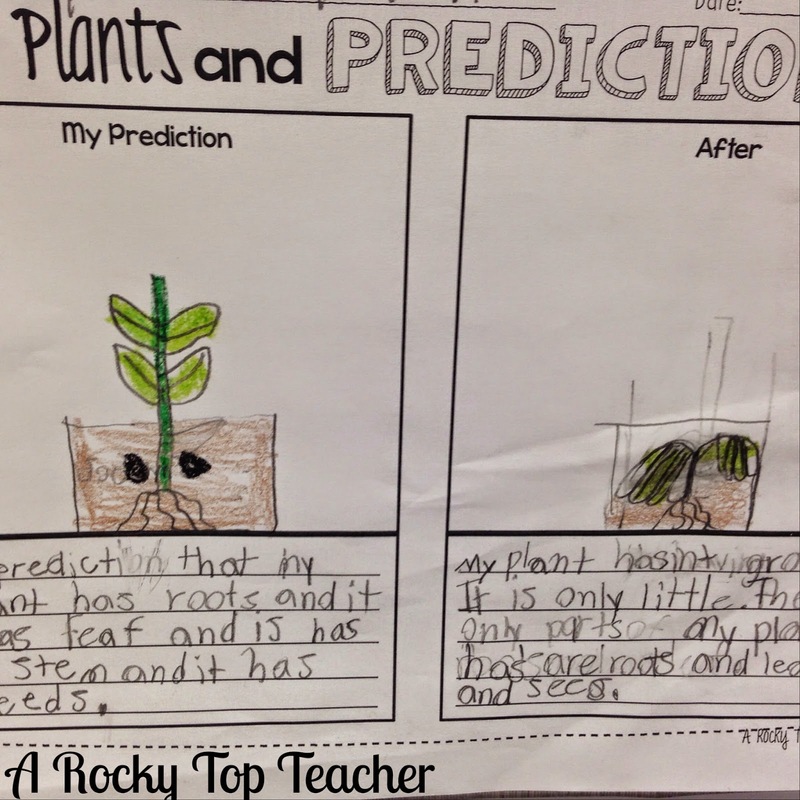 After a much anticipated break from observing their plants, the students made predictions of what they thought their plant would look like based on the knowledge they had gained through our parts of a plant discussions, life cycle exploration, and prior knowledge of plants. 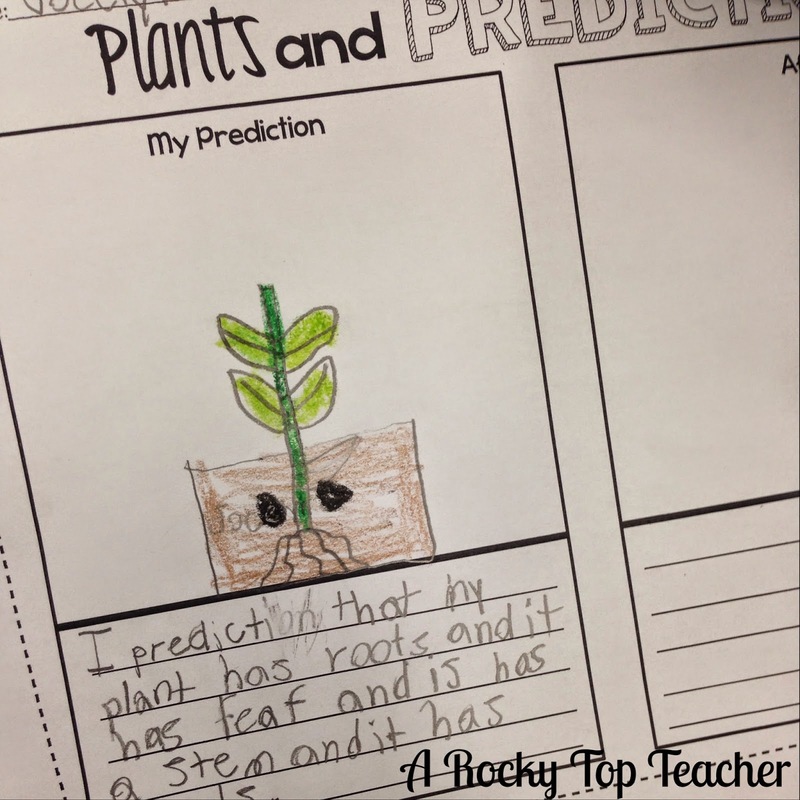 Students had to write their prediction AND draw a picture. By this point, my students were so worked up that I thought they would never forgive me for holding the plants hostage for a few days. To say that shouts and squeals erupted in my room once I brought out the plants would be an understatement. 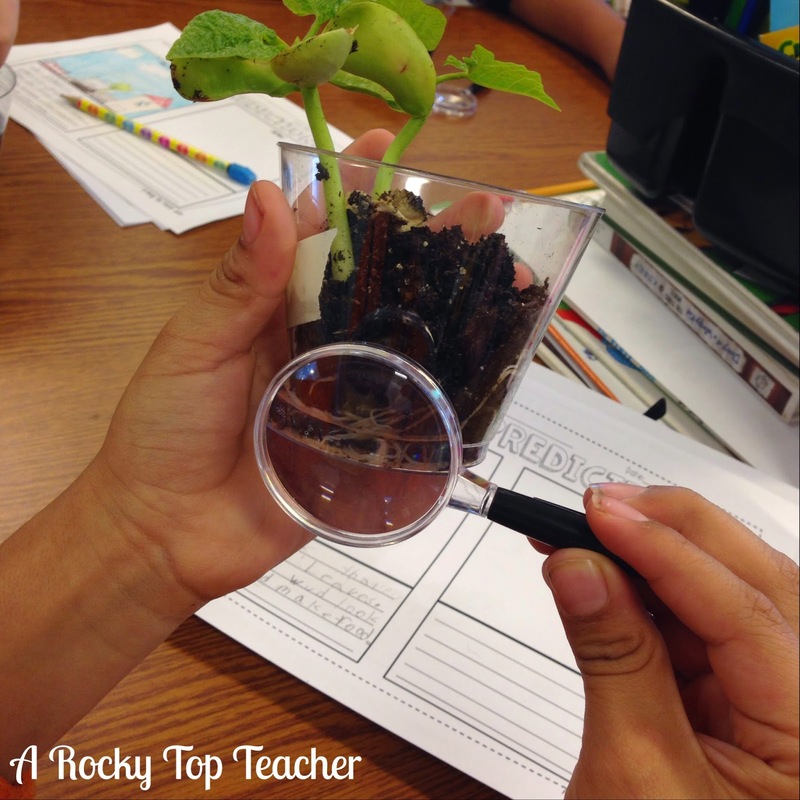 Students were digging in the dirt, holding their magnifying glasses up to the plants, turning the cups on their sides to look at the roots and mingling around the classroom looking at the plants of others. 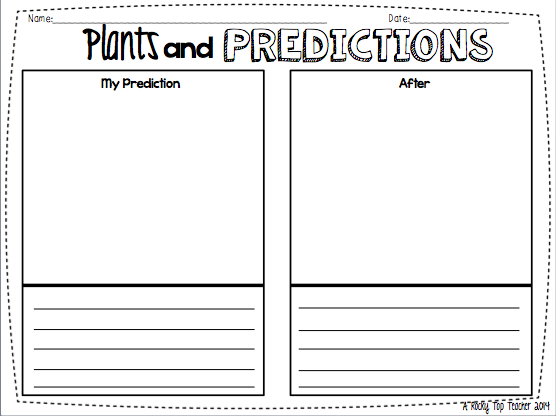 After the students had time to observe, explore, and discuss their plants, I asked them to "check" their predictions(another Reading skill we have been working on) by writing about if their predictions were correct and drawing pictures of what their plants really looked like. I was so proud of how they turned out!! EVERY single student shined in this activity, and they seemed to really enjoy themselves. 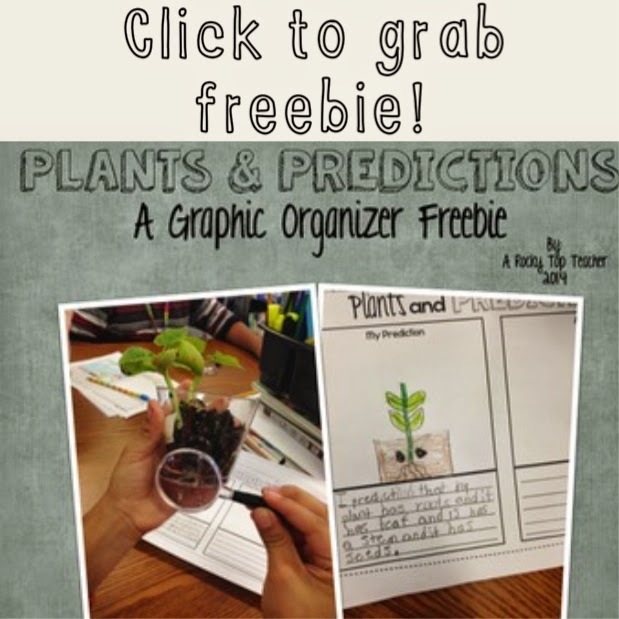 You can grab the graphic organizer for this here. I really feel as if the sky is our limit. Our first big Social Studies unit will be focused around Geography(globe, maps, etc. ), and I have already had a blast setting up our incorporated learning experiences for the upcoming weeks. Stay tuned to hear more about it! Love this!!!! I need to get more science content into my day with my 3rd graders!! I love how you have combined reading with science! I could only imagine the excitement when the kids see new sprouts!! So fun!! Thanks for sharing! !